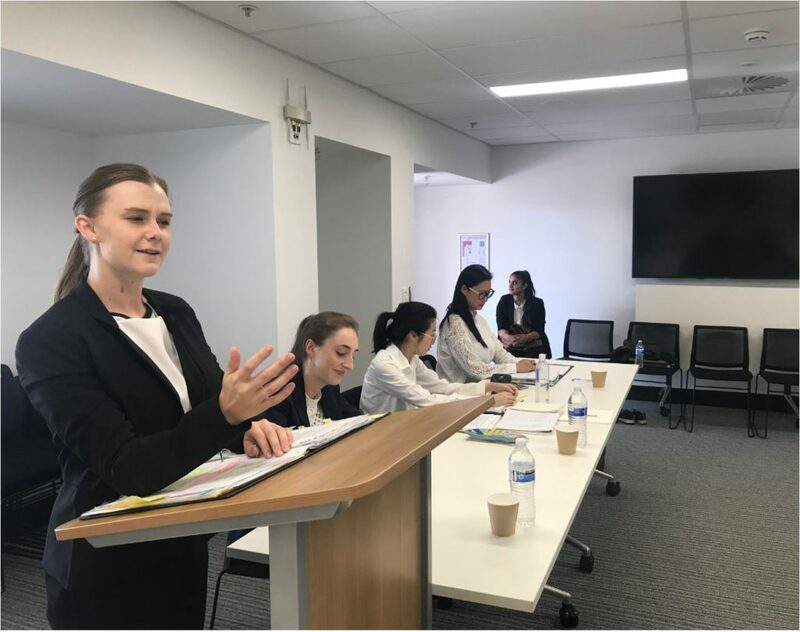 From 5 to 9 February, the Adelaide Law School’s Philip C Jessup International Law Moot team competed against 17 other Australian law schools in the Australian National Rounds of the competition. The Australian National Round was held at the Australian National University, Canberra. 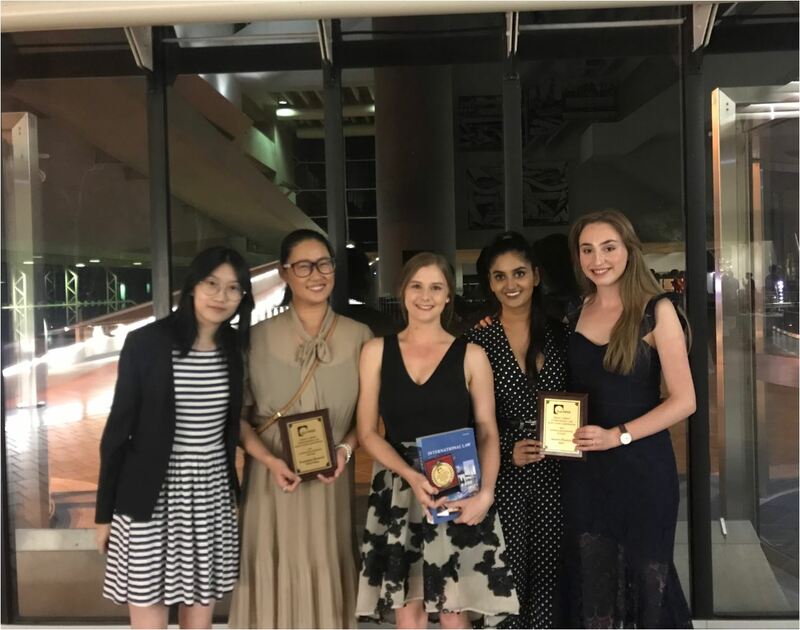 The 2019 team was comprised of April Zimmermann, Natasha Slater, Maithili Mishra, Xinying Xie and Hongmi Yun. The team was coached by Joel Lisk and Mitchell Brunker, with Associate Professor Matthew Stubbs providing support as the course coordinator. The team performed exceptionally well, placing fourth at the conclusion of the preliminary rounds. The team narrowly missed out on a place in the Semi-Finals. April Zimmermann was awarded a prize for being ranked within the top 10 oralists of the competition. The team were also awarded the prize for third place Respondent Memorials. The written submissions represented many months of intensive research and writing on issues of international law including state responsibility for private actions, international environmental law applicable to endangered species, and human rights related to cultural practices. The Adelaide Law School and Moot Team would like to thank the following people for volunteering their time to act as practice judges in preparation for the competition; Sam Leeson, Ashley Files, Danielle Gilby, Azaara Perakath, Katarina Grenfell, Mark Giddings, Dr Rebecca LaForgia, Emeritus Professor Ivan Shearer AM RFD and the Honourable Catherine Branson AC QC. 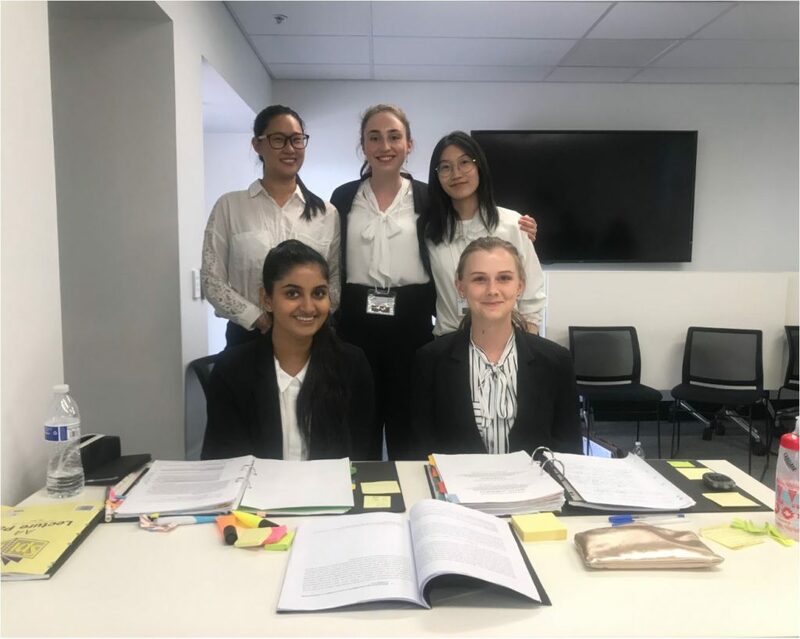 This entry was posted in Student and tagged Adelaide Law School Mooting, Australian National Rounds, Mooting, Philip C Jessup International Law Moot. Bookmark the permalink.